I had tried everything. If there was something, (anything!) that promised a more well-behaved child, a more rested mama, a more peaceful home, I tried it. How I mothered was getting them to behave and getting them to sleep and getting them to share. It was behavior management, really. And nothing changed, until it did: When I finally realized that mothering is actually less about them and more about me. See, I knew I needed something to shift within my mothering- it needed to be wider and deeper and higher than I had let it become. So I've learned some things along the way of mothering, and I would love to share some of them with you. 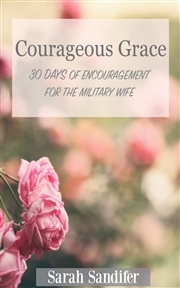 They're less parenting strategies and more ways of being- ways to approach mothering and love and living within the way of grace in all things. What I'm going to do is point you to the light and tell you the way I got it to blaze within my heart and my family. I peel back the curtain, little by little, tell you what has worked for me, and cheer you on that it is completely possible for you too. I've found that this comes as I live out of the transformational, healing, redemptive knowledge that God is with us, always. Even when there's splattered yogurt flung across the kitchen floor. 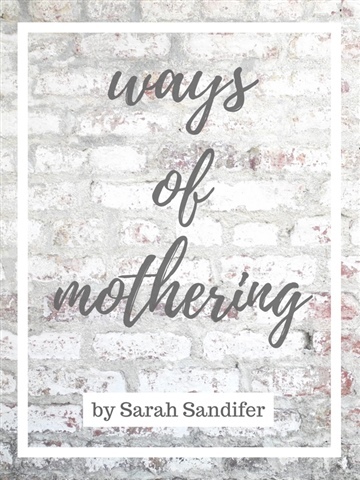 Ways of Mothering walks you through seven daily devotions grounded in biblical truth as well as a scripture verse and corresponding benediction and is an invitation for mothers to discover a deeply abundant, meaningful life within her own mothering journey.